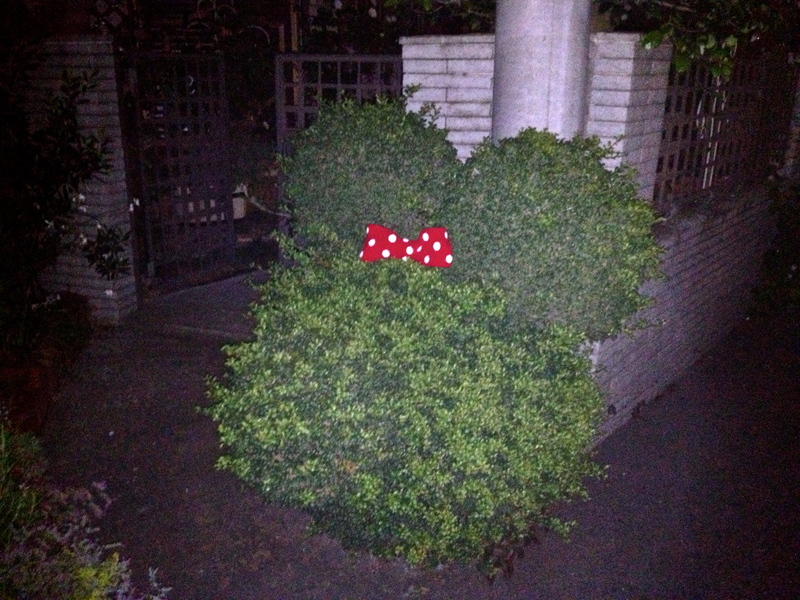 Our neighbors have a big Mickey Mouse topiary in their front yard that has been begging for a Minnie Mouse white polka-dotted red bow. 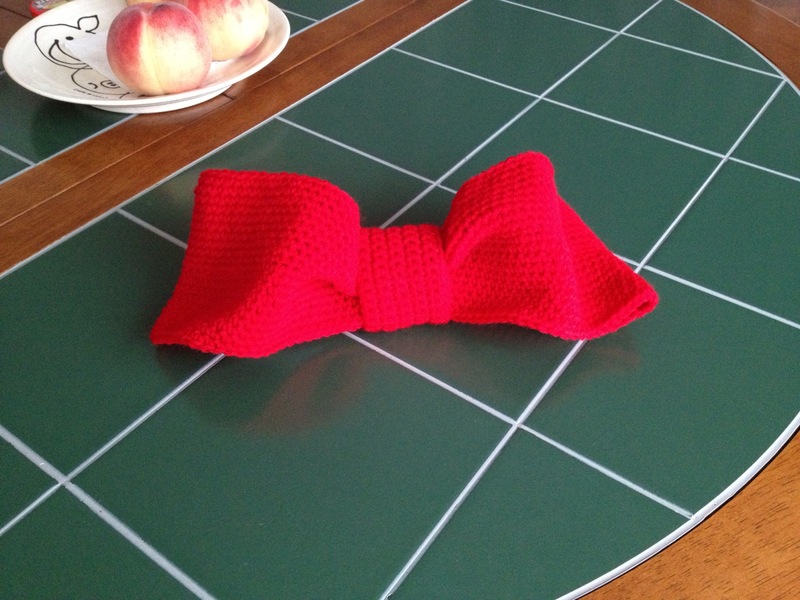 Thanks to a quick trip to a nearby Yuzawaya I found the perfect shade of red and made quick work constructing the piece. A bit of 100% acrylic Minnie Mouse red yarn, a bit of white lace thread for the dots, red copper wire to retain its form and a bit of green colored copper wire to attach it to the shrub forehead and I was done. It took a couple of days to find a good time to place this site specific piece surreptitiously as we live on a street with a lot of pedestrian traffic. 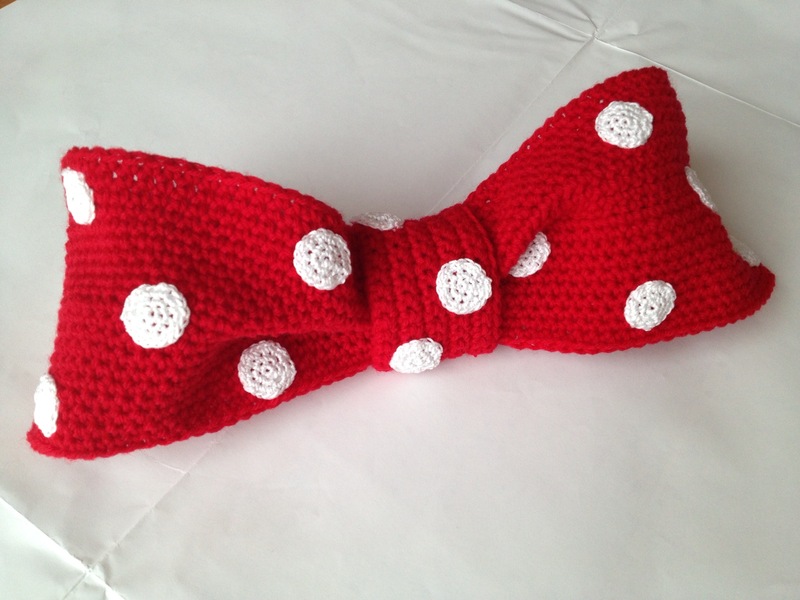 Now that it is placed I see it is a bit smaller than I’d like at approx 30cm x 13cm x 5cm. Unfortunately, the shrub is around the corner from our place and I won’t be able to see my neighbor’s moment of discovery. I’ve never even met them as we are new to the area. Now I’m curious to see how long it will last. Will the neighbor remove it? 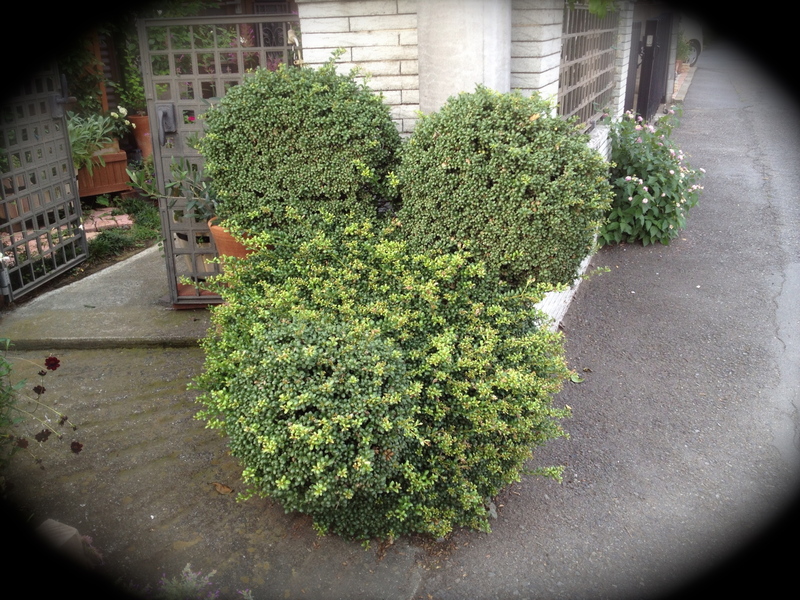 Or leave it in place and trim the Mickey/Minnie Topiary? Or will a passerby remove it for themselves? Jetlag & BBQ = an Amazing New Friend!